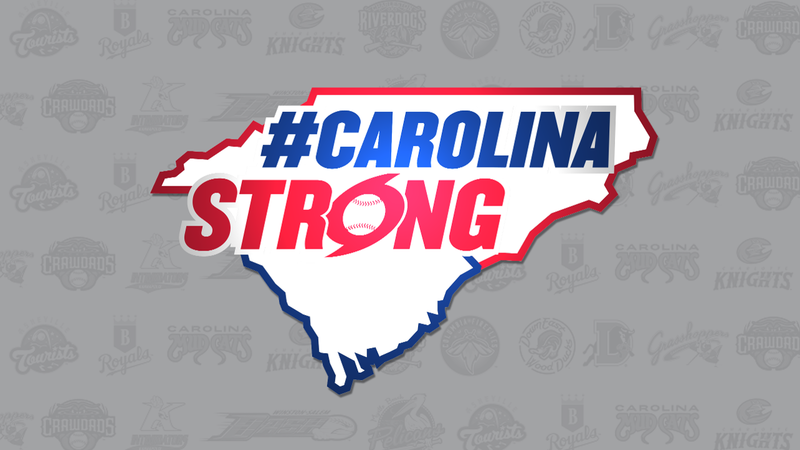 ASHEVILLE, N.C. - In the wake of Hurricane Florence that hit and devastated parts of South Carolina and much of North Carolina over the past week, thirteen Minor League Baseball teams in the two states are coming together to support and raise money for those victims in their states. The Asheville Tourists, Burlington Royals, Carolina Mudcats, Charleston RiverDogs, Charlotte Knights, Columbia Fireflies, Down East Wood Ducks, Durham Bulls, Greensboro Grasshoppers, Hickory Crawdads, Kannapolis Intimidators, Myrtle Beach Pelicans and Winston-Salem Dash announced today that they have created a joint GoFundMe page, raising funds for branches of the American Red Cross in affected areas of North Carolina and South Carolina. ABOUT THE GREENSBORO GRASSHOPPERS: They are the Class A affiliate of the Pittsburgh Pirates and play their home games at First National Bank Field in Greensboro, North Carolina. Their Vice President of Baseball Operations is Katie Dannemiller. For more information please call (336) 268-2255.